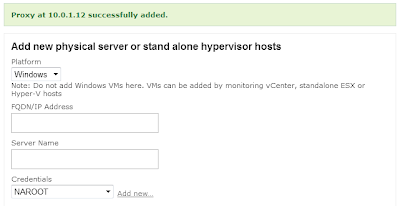 Note: Do not add Windows VMs here. 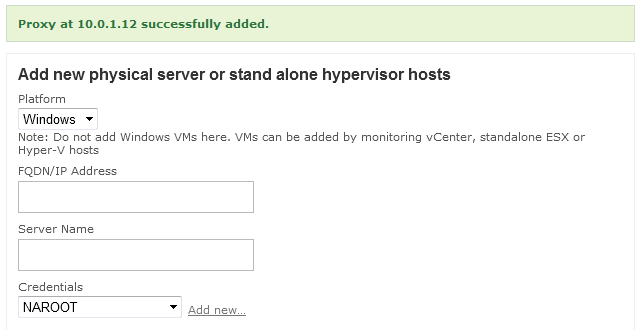 VMs can be added by monitoring vCenter, standalone ESX or Hyper-V hosts! Initially servers are added in the Unmonitored Servers group. And add the required guests to monitoring.